I’m a fan of traditional and beautiful elements – especially when it comes to weddings. That being said, I also LOVE when the romance and beauty of a wedding is adapted slightly. Case in point: colored wedding dresses. 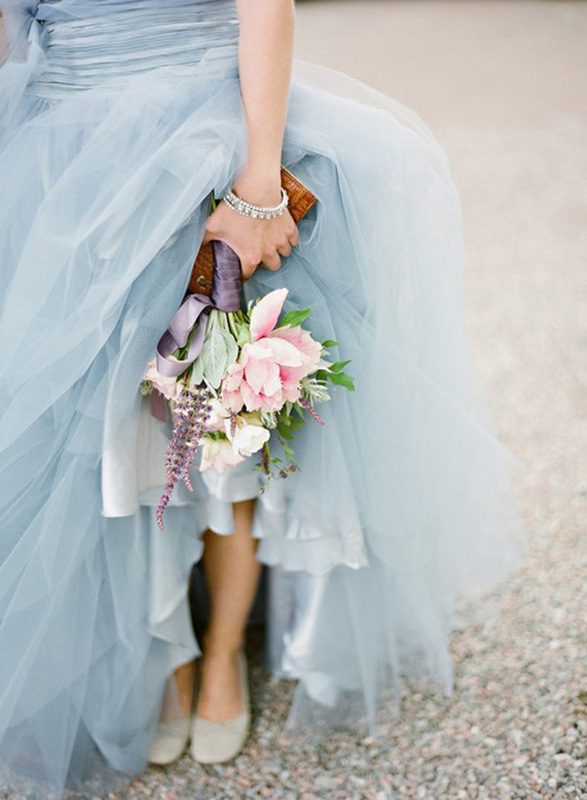 From blush to pale blues, layered dresses are absolutely stunning. 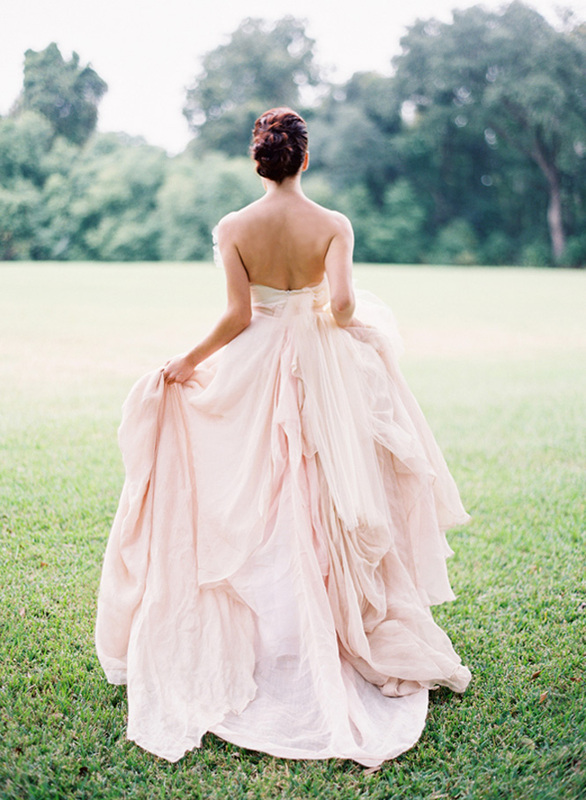 And I am so thrilled that colored wedding dresses are becoming more and more common. Before you make up your mind in favor of the traditional white, do yourself a favor and look at these beauties below.